Figure 2: Demonstration of total protein sandwich ELISA kit specificity using recombinant Akt1, Akt2 and Akt3 proteins. Total Akt1 is detected by #7170 while #7930 measures endogenous levels of Akt2. 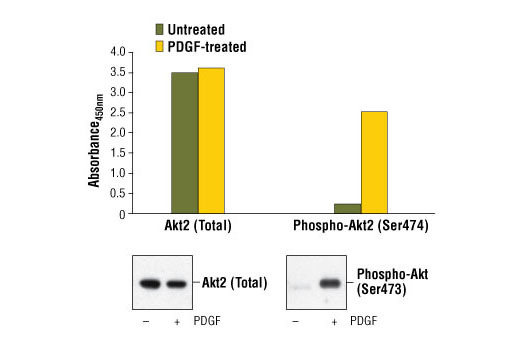 Recombinant, inactive Akt protein (1.0 ng per microwell) is assayed using both ELISA kits. 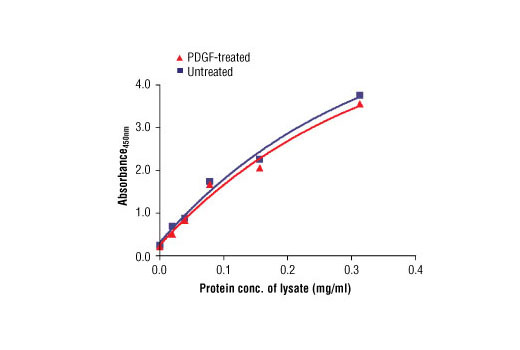 Figure 3: The relationship between protein concentration of lysates from untreated and PDGF-treated NIH/3T3 cells and the absorbance at 450 nm is shown. After starvation, NIH/3T3 cells (85% confluence) were treated with PDGF #9909 (50 ng/ml) for 10 min at 37ºC and then lysed. CST's PathScan® Total Akt2 Sandwich ELISA Kit (Mouse Preferred) detects endogenous levels of Akt2 protein in mouse (NIH/3T3) cells, as shown in Figure 1. 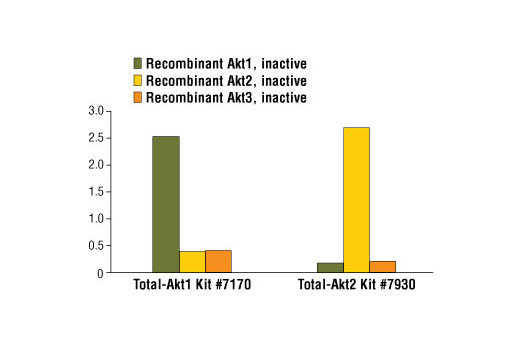 Akt protein specificity is demonstrated in Figure 2, while Akt2 kit sensitivity is shown in figure 3. This kit detects proteins from the indicated species, as determined through in-house testing, but may also detect homologous proteins from other species.